If you are a smart home enthusiast, then you’re in for a treat. Google has unveiled its Google Home speaker this week, which will hit the market in November. It’s a digital assistant, competing directly with Amazon Echo. The product is currently available for preorder and wills et you back $129. This is a truly multi-functional device. You can say “OK Google” and request it to play a song of your choice. In addition to Google’s own YouTube it also works with third-party services including Spotify, Pandora, and TuneIn. However, it gets better. You can say “Play that song at the end of the musical ‘Grease'” and you’ll get the song you have in mind. In fact, you can pretty much ask Google Home anything you would normally ask Google. “What’s the weather in Boston tomorrow?” or “What is the euro-dollar exchange rate?” or anything else. A feature My Day is meant to brief you on your day in the morning – weather, traffic, appointments. You can also control various gadgets in your home – be it Nest or SmarThings – with the sound of your voice. What makes this product truly fascinating is the amount of personalized information it can give you. Comes as no surprise, given Google knows, if not everything, then almost everything about you – your calendar appointments, restaurant preferences, shopping habits, etc. 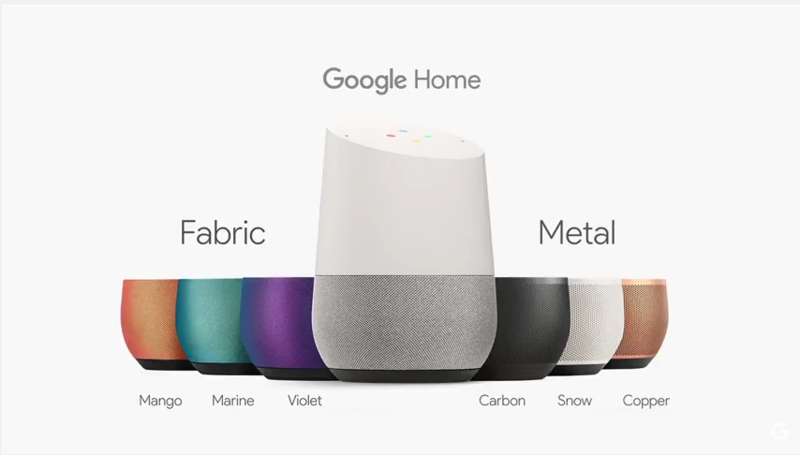 You can not only ask Google Home for information, but send information to your home – driving directions, calendar notes, etc.